Rising at the historical town of Kiangan, which lies at the very heart of Ifugao culture, is Mt. Kapugan. 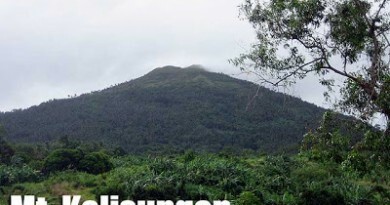 Once a place where Ifugao men would hunt wild boar and collect native coffee beans, the mountain was developed as an ecoutourism attraction in 2004. 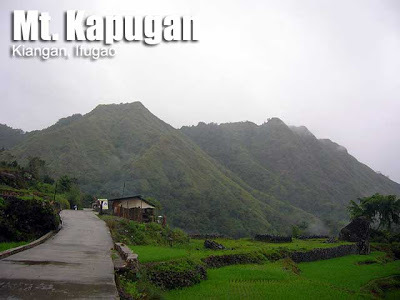 According to Manuel Dulawan, the “walking encyclopedia of Ifugao culture”, the name Kapugan, although is has no exact meaning in the native dialects, evokes barrenness, descriptive of the grassland slopes that characterize the mountain when it faces the town proper. 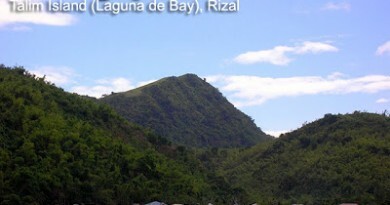 There are two trails going to the summit; both of which start at a hanging bridge at Brgy. Ambabag. If taken together, the two trails comprise a “traverse” of the mountain. The north face is forested, with various medicinal flora as well as coffee trees. There is a wooden bridge without handrails which you must cross. The south face on the other hand is grassy and steep. The different species of grass include cogon and the . You must wear gloves in this trail because the grasses are very sharp and can give you a lot of papercuts. Other shrubs are irritating to the skin. On either trail, the paths are in disrepair and one must get an Ifugao guide with a bolo to hack your way through. It takes 1.5 hours to reach the summit from the forested side and around 1 hour from the grassland. These values assume that the trails are intact. Otherwise, both trails may take up to two hours. At the summit of Kapugan, a nipa hut stands as a relic of the recent ecotourism efforts. Facing south, you can see the entirety of Kiangan: the War Shrine and its pyramidal monument and open field; Ifugao Academy; the public market, as well as the other buildings at Poblacion. Million Dollar Hill, where the Americans bombarded a Japanese , is not a prominent structure but you can ask your guide to point it to you. Mt. Pangaggawan border the town proper to the south and there are other mountains surrounding Kiangan though they are nameless. Beyond the town, west, is Lagawe, the capital town of Ifugao. On a clear day, the more famous town of Banaue can be seen farther north. Finally, although the blogger cannot confirm this, the majestic peaks of Mt. Napalauan and Mt. Pulag may be viewed. Mt. Napalauan is just 13 kms away, ENE, whereas Mt. Pulag is roughly twice that distance, SSE. The itinerary below also features the other attractions of Kiangan, both cultural and natural. Also in Brgy. Ambabag is Uttu Falls, whose water also comes from the mountains contiguous with Kapugan. 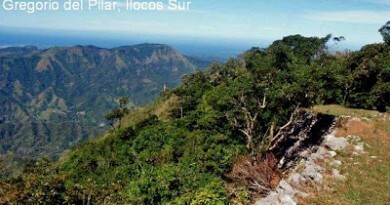 It is a 30-minute downhill trek, similar to Bomod-ok falls in Sagada. The other major hiking trail in Kiangan leads to the Caves of Mt. Pangaggawan, on the opposite side. According to Mr. Dulawan, these caves and the mountain are the setting of a scene in an Ifugao rice myth. The 4-hour trek takes you to the eight-chambered caves, where spulenking and rappelling adventures await. Other possibilities include whitewater rafting in Ibulao river and a visit to a giant rock called ‘Imbuliklik’. Meanwhile, one must not miss the historical and cultural sights of Kiangan. The Nagacadan Rice Terraces are not as dramatic as those of Banaue or Batad but it is also a noteworthy site. 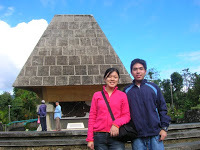 At the town proper, the Kiangan Shrine features an Ifuagao Museum and a giant monument, shaped like a native Ifugao hut.Then there is the Yamashita Surrender Site within the public elementary school. From his last stronghold at Mt. Napulauan, Gen. Yamashita and his soldiers marched down to Kiangan on September 2, 1945 and gave way to peace in the Ifugao region. There is truly much to see in Kiangan – another proof that the wonders of the Philippines are endless. Each town has its natural and cultural wonders that wait to be discovered! 1230 Head back to homestay for lunch. Rest. 0600 Breakfast. Bring packed lunch. 1800 Take return trip to Manila. ETA is 0400 H the next day. A very convenient and relaxing lodging option in Kiangan is to avail of their homestay program. At P260/night, you will be hosted by families, whose warm hospitality, comfortable homes, and great food you can enjoy throughout your stay. Otherwise, a cheaper option is the Kiangan Youth Hostel – P100/night. For tourist guides, you can go to the Municipal Hall and ask for help. Tricycle drivers are also helpful in information-gathering. One of them doubled as my guide in Mt. Kapugan (I paid him P250). No permit or registration required for Mt. Kapugan. Don’t forget to wear long-sleeved clothing and gloves when attempting to descent via the grassy side. Wear sunblock also during summer because it is fully exposed. Cellphone signal is present throughout the trail. PinoyMountaineer.com thanks Mr. and Mrs. Manuel Dulawan for their time and knowledge; as well as our kind hosts in our homestay especially Ma’am Paneng. Thanks also to Dr. Isidro Sia of UP College of Medicine and Beverly Ho, my classmate and co-researcher. 5 Comments on "Mt. Kapugan (1,305+)"
Hmm from the looks of it, it wouldn't be much of an expensive trip, am I right? 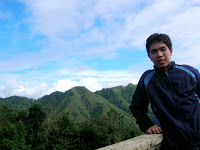 I'm planning to hike the mountain as well after visiting Sagada. How much would a person spend in his overnight stay in Kiangan? Do you have a local contact to reach for exploring the Pangaggawan caves? Is it more than 24 hours travel from mania to benguet? hi ma'am! nice to hear from you, thanks for sharing your own ifugao experience! the dwarf bamboo of pulag is Yushania nitakayanensis . actually it can also be found in the high mountains of taiwan and in our own mt. napulauan. but only in pulag does it grow in abundance!